Political Unrest | Looking for that Blessed Hope! Rarely is a post made concerning politics except where it becomes a threat to freedoms and/or society. With about 10 months left in office, President Barack Obama is considering unprecedented moves to implement a two-state solution, according to a Wall Street Journal report. Senior US officials revealed that the President is looking to initiate a final negotiated settlement between Israel and the Palestinian Authority using United Nations Security Council resolutions, a step that would obligate not only Israel and the Palestinian Authority, but effectively determine the direction of US policy for the president’s successor as well. Do you remember this man? Democracy in Turkey is quickly dying. Turkey has recently seized two newspaper media companies including the largest Zaman. An İstanbul court appointed trustees to take over the management of the Feza Media Group, which includes Turkey’s biggest-selling newspaper, the Zaman daily, as well as the Today’s Zaman daily and the Cihan news agency, dealing a fresh blow to the already battered media freedom in Turkey. 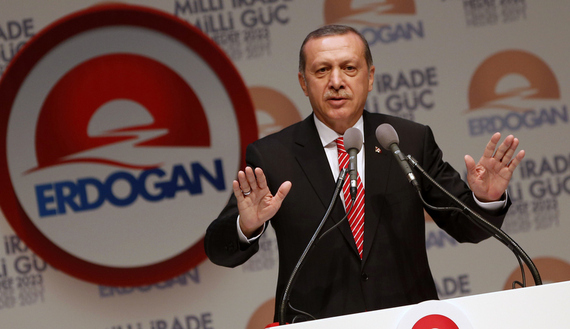 Has Erdogan confused freedom of expression with spying? Turkey’s “strongman” President Recep Tayyip Erdogan is going the extra mile in his trajectory of authoritarianism by challenging a Constitutional Court ruling. Although stressing that he fully supports freedom of expression, Erdogan said no one can attack the country under the guise of liberty. “This is spying, [and] intelligence organizations in every country have almost infinite legal power — and so they can’t be interfered with so easily by any ordinary prosecutor,” he added. “Now, after our departure, there will be a lot of turbulence behind us over my statement,” he said, signaling that he was aware of the possible dramatic ramifications of his statement. Amid President Recep Tayyip Erdogan’s recent West African tour, from Feb. 28 to March 4 and including visits to Ivory Coast, Ghana, Nigeria and Guinea, news reports surfaced of Turkey establishing a military presence on the strategic Horn of Africa, in Somalia. This development will make Turkey the fifth foreign country to have a military presence in Africa, joining Britain, France, Japan and the United States. This entry was posted in Israel, Prophecy and tagged Erdogan, Obama, Turkey, UN by atharris. Bookmark the permalink.